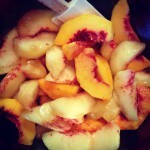 Peach season is here (my favorite time of year! 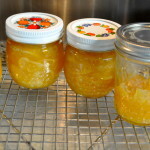 ), and I thought I’d share a easy, delicious recipe for turning those little orbs of summer sunlight into jam. 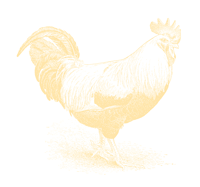 Once again, I contacted my friend Julie – Sonoma’s Queen of Jam – to help me out. 1. Set oven to 250 degrees and place your jars on a cookie tray in the oven to warm and disinfect. 2. Put the jar lids in water in a small pan over low heat. Warm them for three minutes. Be sure to put the first layer of lids bottom side up to protect the rubber seals. 3. Put three or four salad plates in the freezer for use later. 4. 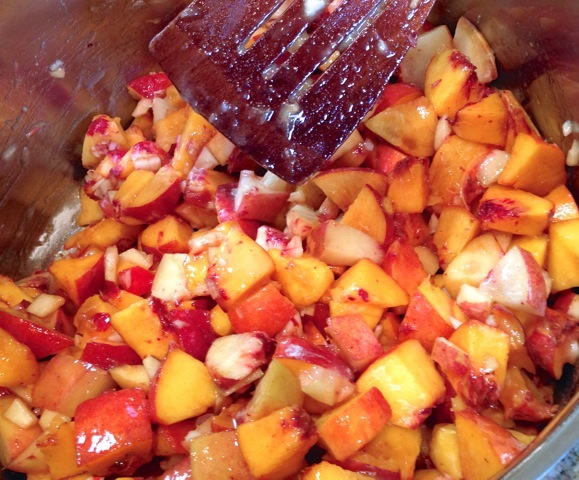 Rinse and slice fruit into equally sized quarters or pieces. 6. Add one cup of sugar to your sliced fruit, stir and cover with a piece of plastic wrap. Pat the wrap right onto your fruit to keep it from oxidizing and turning brown. 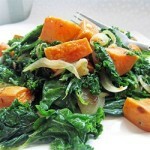 Let macerate for 30 – 60 minutes. 7. 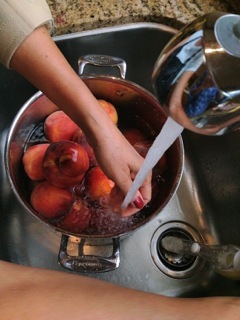 After macerating, divide the fruit into two non-reactive pots. 8. Cook the fruit over the highest heat possible (medium-high) without scorching. Stand over the pot and stir. Bring the fruit to a boil. 9. 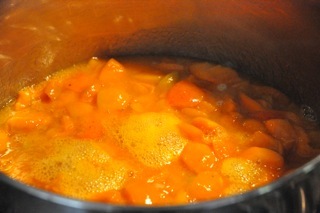 Add remaining sugar and bring mixture back to a boil, and vigorously boil for 20 – 30 minutes. 10. At 20 minutes, test the fruit on a plate by spooning about a teaspoon on to one of the salad plates you put in the freezer earlier. Put the plate back in the freezer for a few moments to cool. Take it out and look to see if the mixture is thick by drawing your finger through the juicy stuff and if it maintains a little trough for a bit, it’s done. Taste the mixture and add sugar if you think it needs it. My jam tasted great and didn’t need any additional sugar. 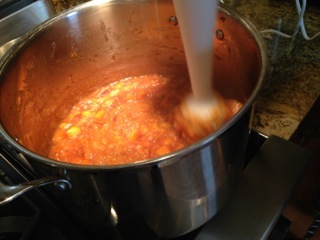 It did, however, need a little pectin to help it hold together better and make it less runny. We added one tablespooon of Pomona’s Universal Pectin. 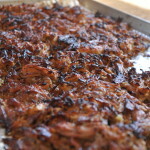 We also thought the flavors needed to brighten up a bit, so we added two tablespoons of lemon juice and a bit of zest. We boiled the mixture for another few minutes and did another test on to a fresh plate from the freezer. The fruit maintained a little trough on the second try. Turn off the heat. 11. 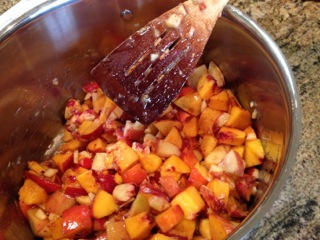 Use an immersion blender to smooth out the larger chunks in your jam. I still like texture in mine, so I left some smaller chunks remaining. 11. Drain the jar lids you’ve had in the warm water, and put them in a bowl. 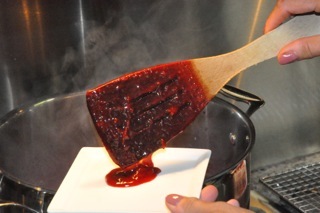 Using your tongs, grab a warm jar from the oven, and fill it up to very near the top with hot jam using the ladle and funnel. Be sure not to get any jam on the rim of the jar, and use a moist paper towel to wipe away any drips. 12. If you wind up with any jars that are not completely filled, use them quickly, as they will not keep long. Put them in the refrigerator and treat the jar as already open. 11. Be sure to avoid jostling the jars for about 24 hours after canning. The best peach cobbler ever. Six words you should say today. I don’t speak French, but I still adore this long-sleeved t-shirt. With more grandkids visiting this summer, cinnamon rolls might be a perfect cooking project. Roasted broccoli rabe with lemon vinaigrette and grilled chicken = perfect dinner? Yes.